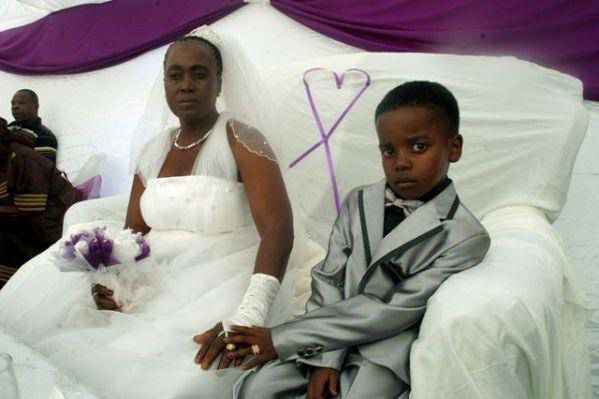 Dressed in a silvery blazer, a small baby-faced Saneie holding the hand of mother of five children Helen Shabangu her children are aged between 28 and 38 years old as they repeated their vows a year on in front of 100 guests.The ceremony where guests shared a piece of cake took place in front of Helen’s long term husband Alfred Shabangu, 66, who was there in 2013 as well at the time of marriage. 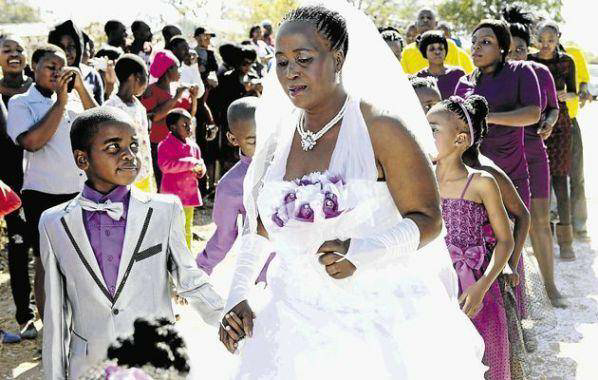 This 9 year old kid Saneie Masilela has become the world’s youngest groom for the second time after re-marrying the 62 year old woman he tied knot with in 2013 .Sanele Masilela and Helen Shabangu of Tshwane, South Africa were married in 2013, claiming that it was an order from their dead ancestors. The renewing of the vows was required by a local tradition over there which states a wedding ceremony need to be repeated at the bride’s home in order to make it official wedding, according to Irish website, Her.ie. Although the two are married in 2013, the boy’s mother, Patience, explained in a Buzzfeed interview, the union is only for their dead ancestors and the couple doesn’t live together & they don’t have any attraction towards each other or engage in any sexual relations. “I know it’s what the ancestors wanted. If we hadn’t done what my son had asked, then something bad would have happened in the family,” she said.